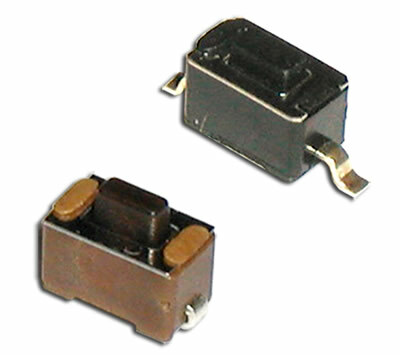 Sub-miniature in size, the SPST, momentary CS1101 small tactile switch is available with gull wing or J-lead surface mount termination. Actuator length options are 4.3mm and 5.0mm, with actuation force of 180gF. Actuator travel is .25mm on this surface mount switch. Check out our SP switch if you require a different type of terminal option.